I am a pessimist. I like to consider myself a realist, but when you strip away all the fancy words, you are left with someone who typically expects the worst. In my defense, the worst is usually what happens which is why my stubborn realist philosophy seems validated. I have a few exceptions to my pessimistic personality, with a big one being my sports’ teams. When it comes to my teams, I am an eternal optimist. I always see the silver lining. I always hope and believe that the future will be bright, even in the face of all evidence to the contrary. My hope for this article is that I can balance both sides – the optimist and the pessimist. 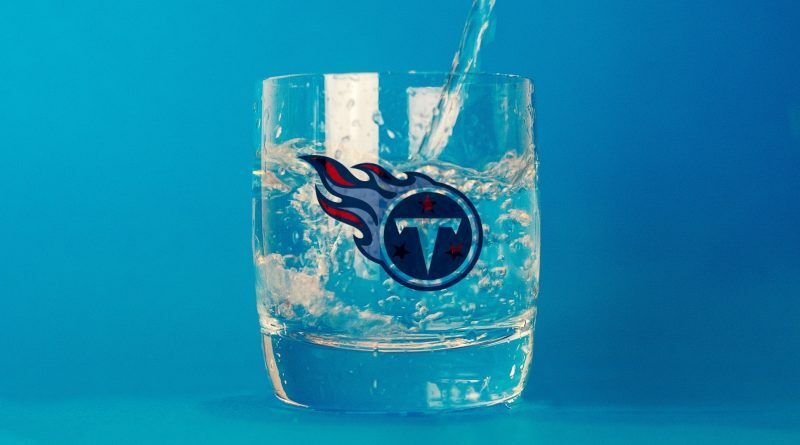 I hope that balance will make for a more nuanced and rational take on what has been an incredibly frustrating season for my favorite team – the Tennessee Titans. I’m sure I am missing quite a few things to add to this list. I think my point stands. It’s been a weird season. The team has been up and down all year. They look like a top 5 team one week and a bottom 5 team the next. The offense looks inept in one game and then looks unstoppable the next – though the former plays out more often than the latter. Same thing for the defense, though their up and down has been different in that they looked solid for the first half of the season and then seemed to fall apart in the last few games. This season has been crazy. There have been dozens of factors contributing to that craziness and it has been a lot for a new coaching staff to deal with. I do not want the fans to brush off the insanity of that first week in Miami. The Titans lost their three best offensive players in one game: Delanie Walker for the season, Taylor Lewan for an indeterminate period of time on a cheap shot that wasn’t penalized, and Marcus Mariota (on a late hit) with one of the weirdest injuries I’ve ever seen. This team could have folded after that. They could have finished that ridiculous 7 hour and 8 minute fiasco and thrown in the towel. They didn’t. The coaches (many with little experience) didn’t let that happen. For the most part, they have handled things well, though there is still plenty of room to grow. What were the most optimistic expectations for this team? What was the best-case scenario – the dream outcome – for the Titans this season? The offense comes together under Matt LaFleur, propelling the team to a long playoff run? If that is your dream scenario, then you have to take the bad with the good. If this offense had become a top 10 NFL offense this season, the chances of LaFleur leaving at the end of the season would be high. Teams would be falling all over themselves to hire Sean McVay 2.0. That would mean another offensive coordinator for this offense and for Marcus Mariota in 2019. 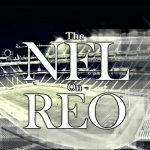 Frankly, if we want to see what Mariota is truly capable of, then it is in his, and our, best interest for him to have stability in the coaching staff. While this season has been frustrating for fans coming off a 9-7 season with a playoff win, it might be for the best in the long-term. Of course, this all depends on Matt LaFleur actually being a good offensive coordinator. I think the jury is still out on that. I lean towards a “yes” to that question as we have seen improvement in some key areas, particularly in the second half of the season. I do believe most of what is holding back the offense at this point is the offensive line and there is only so much a coordinator can do to game plan around that. The measurables we do have show that Mariota is getting better under this system. He has the 4th highest completion percentage in the league, behind only Drew Brees, Matt Ryan, and Kirk Cousins. In his last 4 complete games, he is averaging 252 yards per game and a 77.4% completion percentage. He has thrown 7 touchdowns and 2 interceptions in those games. (He’s also averaging 9.59 yards per attempt during that stretch which would be good for number 1 in the league.) Spread that out over a full season and you get 4,032 yards, 28 touchdowns, and 8 interceptions. What Titans’ fan wouldn’t take those numbers? Other players are coming along as well – namely guys like Corey Davis and Jonnu Smith. There is no sugarcoating the running game though, and that is on LaFleur to fix. However, as I stated earlier, I think the majority of the blame falls on the O-line. If that can improve this season or during the offseason, the entire offense takes a massive leap forward. I’ve chosen to approach this season as a chance for the team to grow and learn. Mike Vrabel has shown signs of being a good head coach. (You don’t luck into wins like the Eagles, Cowboys, Texans, and Patriots.) He has also shown some poor decision making tendencies. (Bad challenges, bad play calls at key times.) This season is a chance for him to learn from those mistakes. Same goes for LaFleur. I think this season is a chance to discover what he does well and eliminate the negatives. If he had exploded this season and this offense had taken off, he would be a head coach next year. Mariota and this offense cannot afford another change at that position. Just like players typically take a leap forward in their second season, I am trusting that this coaching staff will as well. We’ve seen glimmers of brilliance. Next season, we need to see that brilliance on a sustained basis. I believe they have it in them. So, the craziest season I can remember in all my years following this team has been disappointing. But I believe it has been one step back so that this team can take many steps forward in the coming seasons. I realize that won’t make any Titans’ fan feel better now. I get that completely, but I am choosing to see the bright side of this – the hopeful side. That’s just what I do as a fan. It’s my way of coping. I hope that this can provide a little bit of hope for some other fans out there as well. All that said, I still think the team can run the table, sneak into the playoffs, and do some damage this season, so what do I know. Agree or disagree? Let us know in the comment section below. I love your optimism! You make me want to be optimistic, too. You’ve convinced me! I just wish we could be more consistent. That’s really all. And yes, it would be great if they could be more consistent. Other than an NFL coach, GM, player, or inside analyst, I don’t know anyone more knowledgeable about football generally and the Titans specifically than you, Phillip. Good job! Yesterday really was a game they had to have, but then, that’s true of the rest of them. 3 down and two to go. Just need a little help. Either the Steelers or the Ravens need to lose one game. And they play the Saints and Chargers next week, respectively. I can easily see both of them losing. The dream is still alive, people! 4 down. 1 to go.